Shopping for an agile and off-road-ready luxury SUV in Newark? Explore our inventory to find a new Range Rover Sport for sale in %di_city%% at your local authorized Land Rover retailer. See why this Range Rover family member has the features you need, then schedule a test drive to experience it in person! 2019 Land Rover Range Rover Sport Supercharged 4WD 8-Speed Automatic 5.0L V8 SuperchargedRecent Arrival! 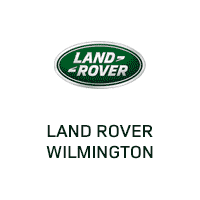 Contact your local authorized Land Rover retailer for details on this luxury SUV, or simply visit Land Rover Wilmington for a test drive near West Chester, PA and experience it for yourself! You can also compare more Range Rover family members, like the Range Rover Evoque vs. Range Rover Sport, or the Range Rover Sport vs. Range Rover Velar!